There is this new organization by the name of Bail Bloc which has initiated a campaign which has raised cryptocurrencies especially Monero through charity which will be used to help people get out of the US Immigrations and Customs Enforcement (I.C.E) pretrail centre, as is informed by a tweet from the founder of Bail Bloc made on 15th Nov.
ICE is a law enforcement agency which comes under the federal government of the US. The basic purpose of ICE is to monitor the cross-border crime and illegal immigration. ICE conducted over 140K+ administrative arrests, and out of those arrests only 8 percent of which NOT resulted in a criminal conviction or a pending criminal charge, rest all 92 percent were criminally convicted. In the detention centre the people are required to pay an immigration bond to get an immediate release, But from the past it is know that only 47 percent of the people usually are able to get the bond hearing. And those who cannot afford to pay the bond, or those who are not granted the bail for whatever reason, must wait for their court hearing while being detained, and the sad part is this whole process could last from months to YEARS! Now this is where Bail Bloc comes into the picture and they have set a goal to help the charged immigrants by paying up their bail with money which is raised through the Crypto (Monero) mining. this initiative has also released an app which consumes a small portion - and that portion usually ranges from 10 percent by default to 50 percent optionally (if the user wants!) - of user's computer power to mine Monero (XMR) once the program is installed. Bail Bloc also informed that they will exchange XMR for US Dollar at the end of every month and will donate the earnings to the immigrant Bail Fund in New Haven, Connecticut. 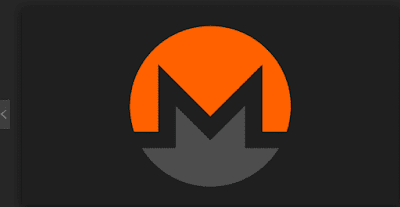 The organisation has currently mined 45 XMR, which by the present rates equates to $7356 US Dollars. This sum is enough to bail oiut 12 people, as per the Website of the Organization. Bail Bloc continued to explain the they chose Monero as this currency is ASIC resistance cryptocurrency, which means that Monero can be mined from a consumer0-level-computer "in a financially viable way", and intrestingly enough the computers designed with a sole purpose of mining crypto, they cannot achieve this! At the present Time, Monero is trading at $87, which is down 0.82 percent in the last 24 hours . Monero's marketcap is over $1.4 Billion, while it has a whooping $18,9 million daily trading volume.